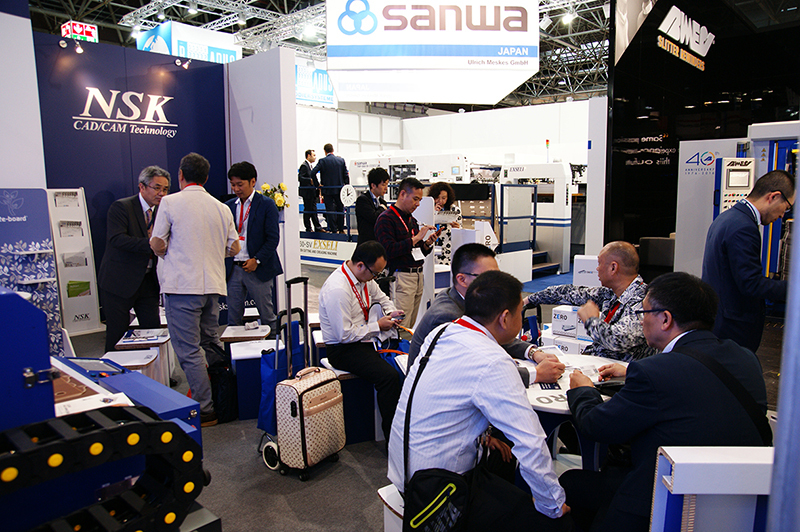 From Tuesday, October 2 to Friday, October 5, 2018, NSK exhibited at the 2018 iteration of Tokyo International Packaging Exhibition, TOKYO PACK 2018. 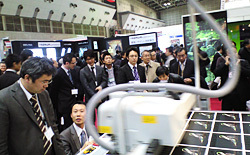 TOKYO PACK is a biennial convention for packaging materials, containers, and the machines that make them. 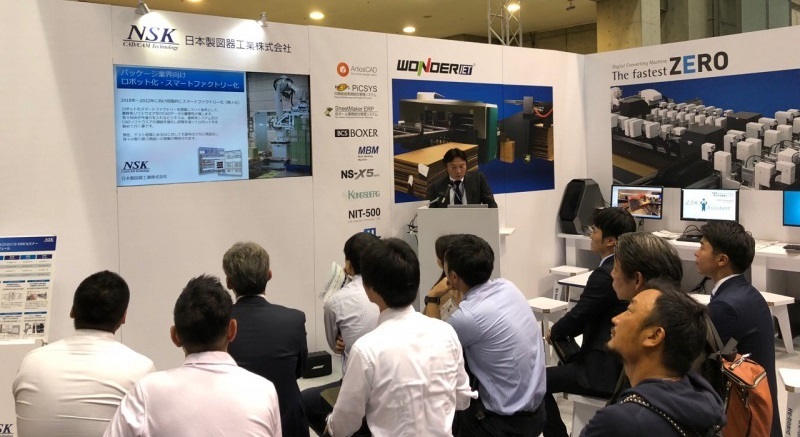 The International Graphic Arts Show (IGAS), a quadrennial event for all sectors of the graphic printing industry, was held Thursday, July 26 to Tuesday, July 31, 2018, at Tokyo Big Sight in Tokyo, Japan. 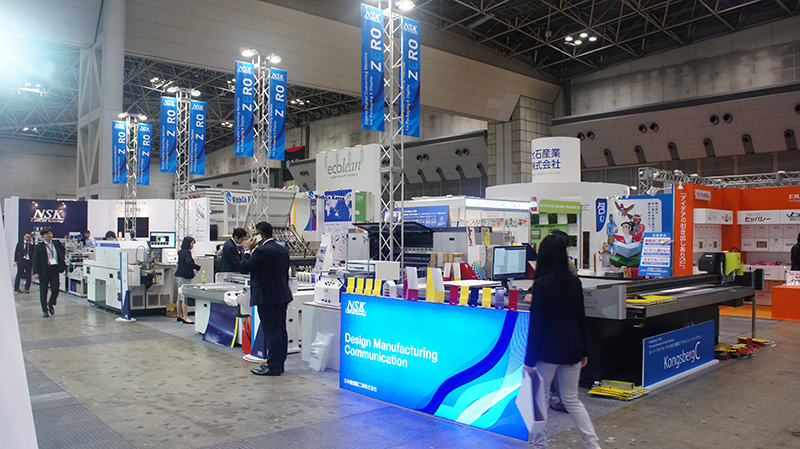 The FESPA Global Print Expo is the world’s largest international exhibition for screen printing, digital printing, and textile printing. 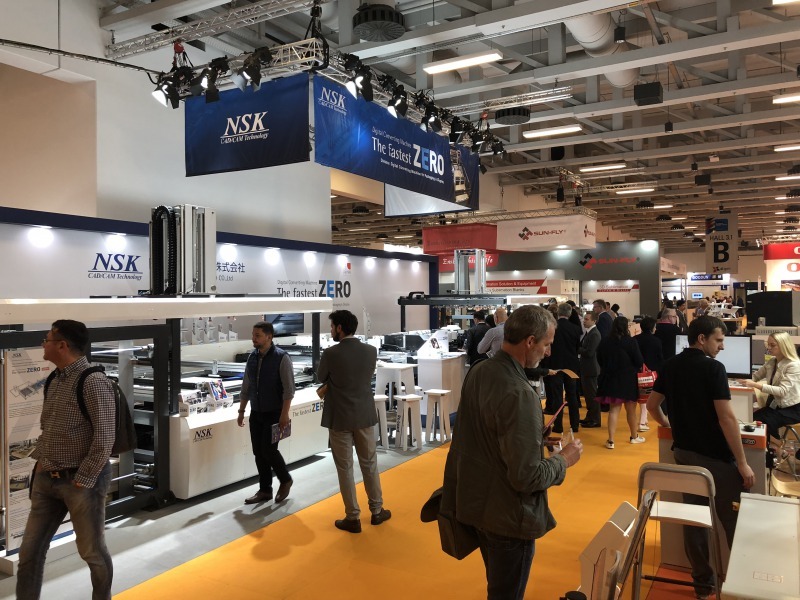 We at NSK set up a booth at FESPA 2018, held at the Messe Berlin in Germany from May 15 to May 18, 2018. 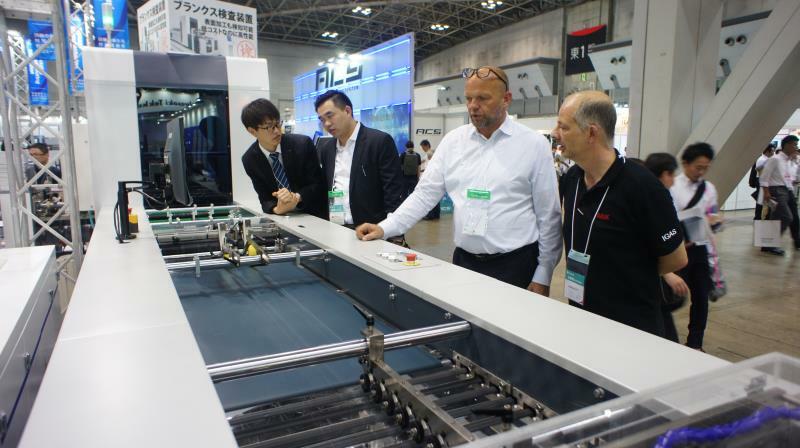 Guests were impressed with the dedicated stages for X-axis, Y-axis, and Free-cutting, part of the triple-table system designed for speed and efficiency. This was complemented by ZERO’s easy-to-use software, with an intuitive drag-and-drop interface. 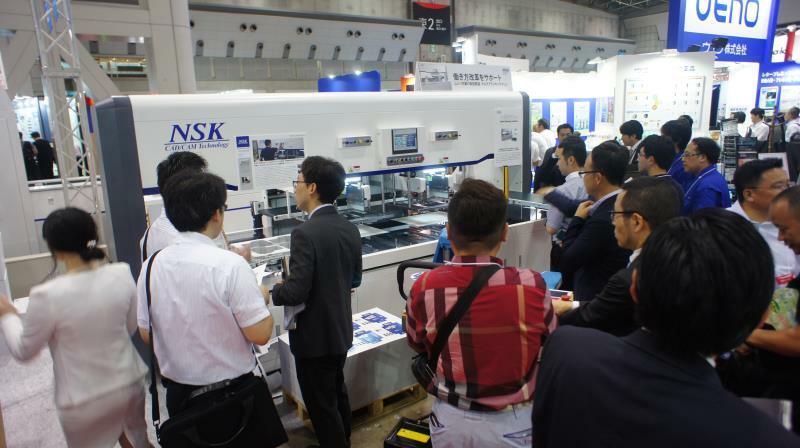 From interface to processing, the machine’s entirely new concept was given a warm reception by all. 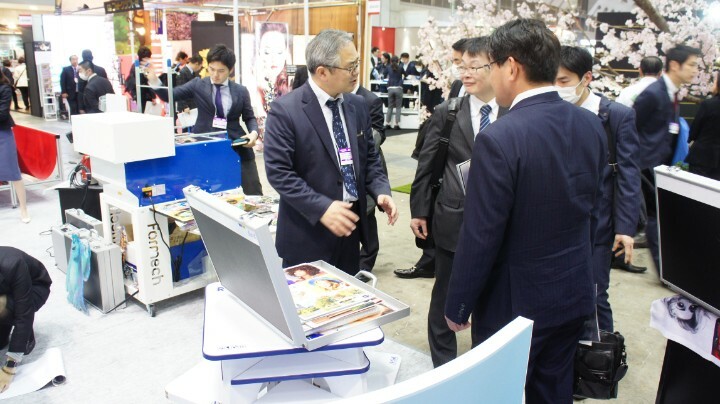 JAPAN SHOP is a once-a-year convention where in-store displays, store fixtures and facilities, signs and signboards, POP and SP tools, and more all come together in one place. 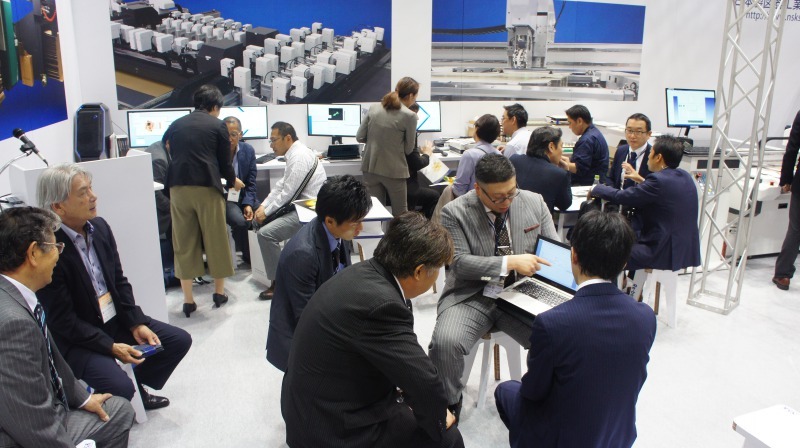 As the event welcomed its 47th iteration, we presented the latest information on the industry while exhibiting and showing demonstrations of various high-end machines. 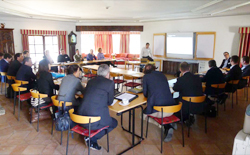 Re-board Asia Meeting in Spain. 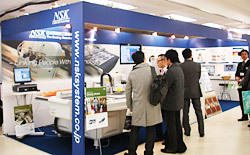 Thank you very much for stopping by our NSK booth stand at drupa2012. Thanks to you all, our products Re-board has been in a great demand from all over the world. 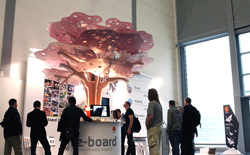 At DRUPA 2008 in Dusseldorf, NSK was invited to present PiCSYS at the ESKO Artwork booth. For two whole weeks, we were allowed to present our MIS solution by conducting demos and giving presentations at the ESKO Artwork theatre. 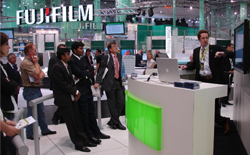 DRUPA 2008 represented the first big step of PiCSYS into the overseas market. 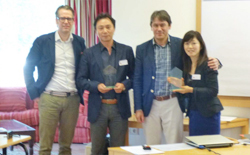 We were able to meet clients from all over the world. 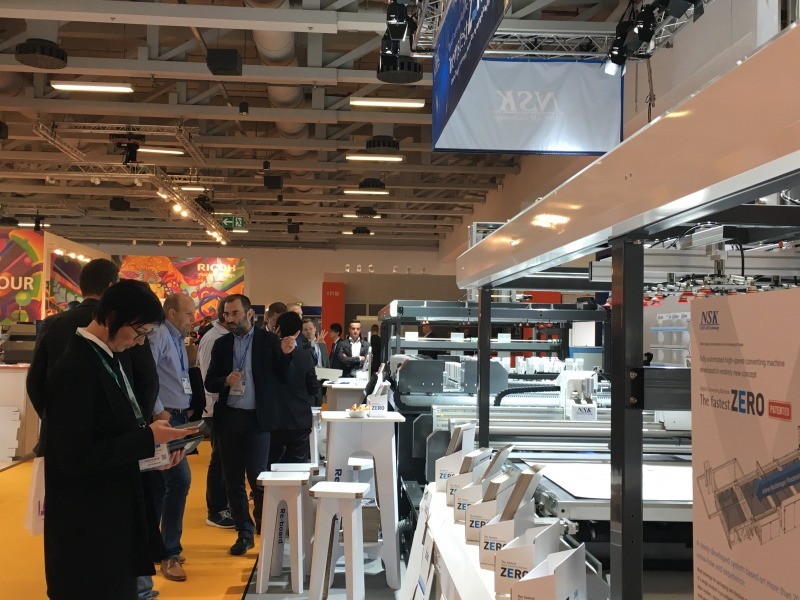 Packaging professionals from such parts of the globe as Chile, Dubai, Singapore and, of course, Europe wanted to see how PiCSYS is natively integrated with ESKO Artwork products. NSK would like to thank all of the ESKO Artwork and distributor employees for their hospitality. For those who weren’t able to make it to DRUPA this year, please contact us for further information. 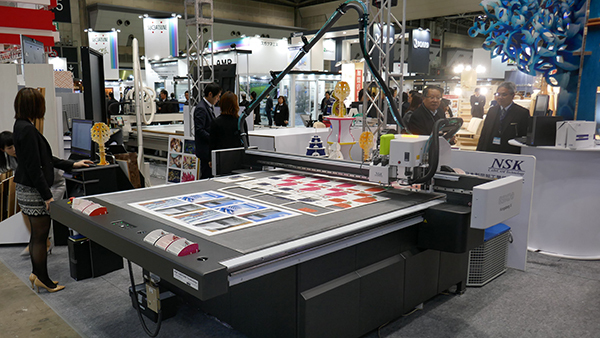 At this year’s Japan Shop NSK once again displayed a Durst wide-format UV printer, but this time it was the largest of them all: the Rho 800. 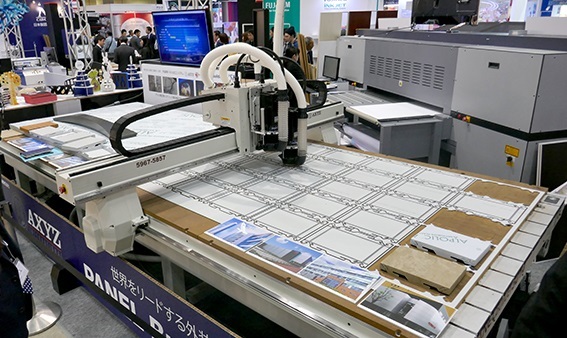 With a 2.6 meter wide bed and the capability of printing simultaneously on many flat boards which substantially raises production efficiency. 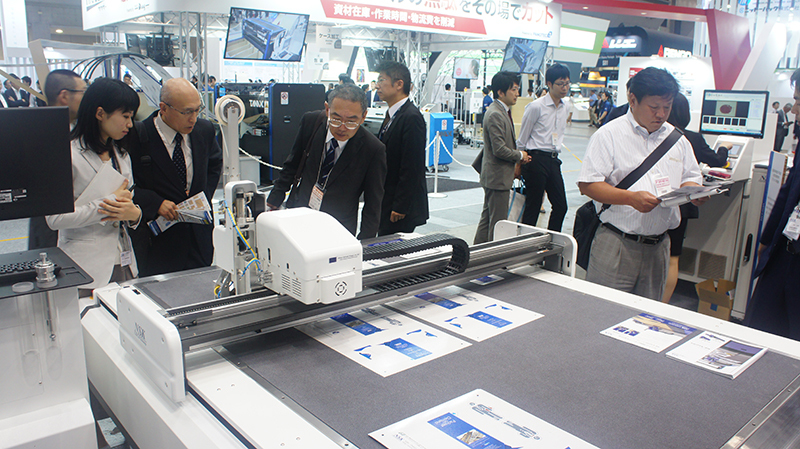 We also displayed our infamous Kongsberg cutting machine, the XL-24. 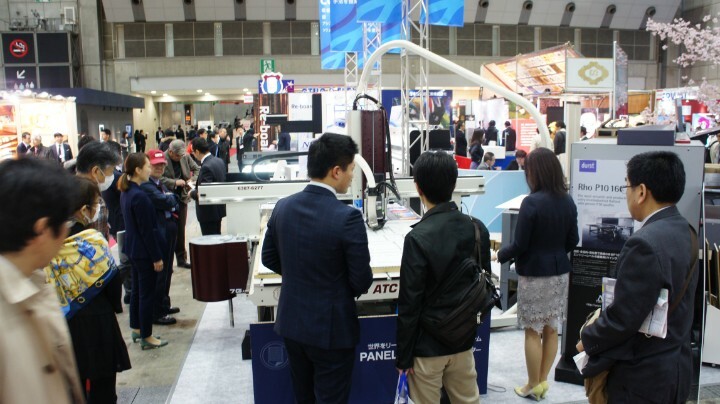 Many of our visitors were entertained by the cutting of various materials with the installed Multi Head. Thank you all for your attendance and see you next year! Well, Page 2008 has come to a close, but what a fantastic exhibition! 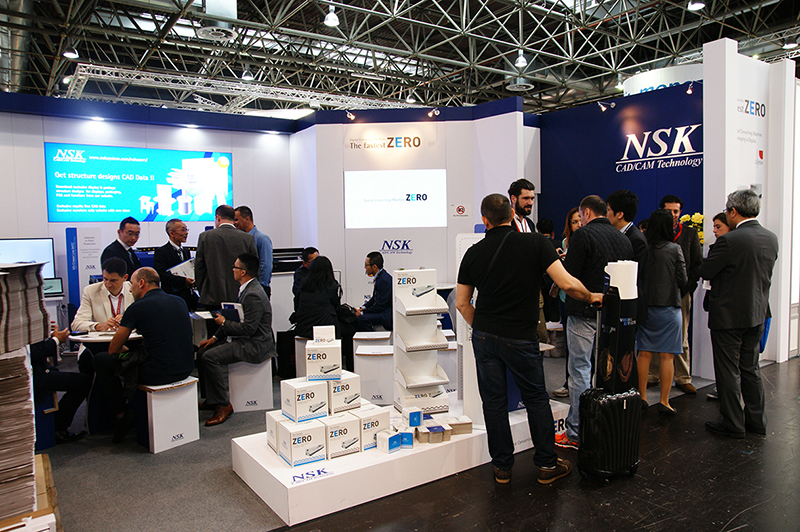 We at NSK put out our own booth as we always do, but also teamed up with ESKO Japan in making a co-sponsored booth with products from both companies on display. One of the main themes at Page was the new, revamped Visualizer 7.0. With Visualizer, you don’t need to make a real-life mockup every time you want to see what the end product will look like. Using Visualizer’s graphic tools, you can emulate all the effects used in the industry. 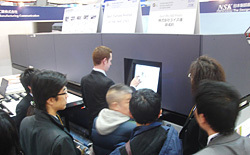 Otherwise, we also displayed PiCSYS, our packaging production management solution software. Thank you for coming to see us at Page 2008!